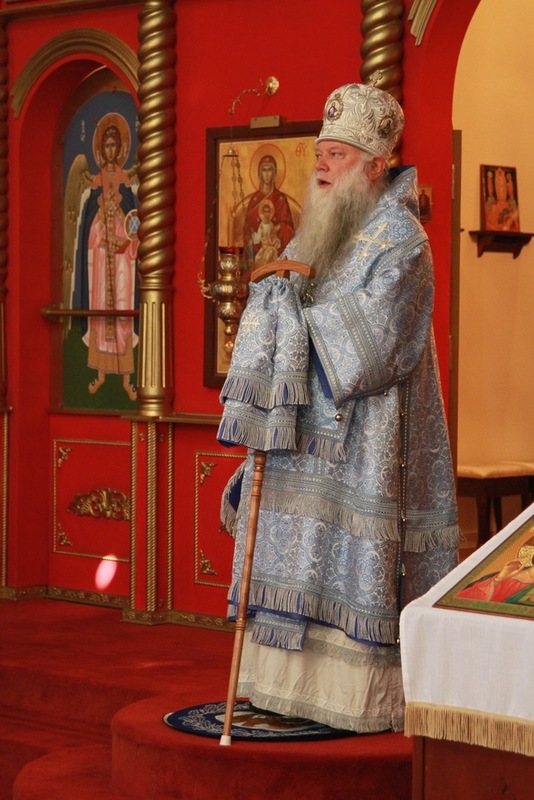 On September 1-2, 2012 His Grace, Bishop Peter traveled to the parish of St. Benedict's in Oklahoma City. On Saturday evening, the choir under the direction of Anna Vollemecke sang a beautiful vigil service. The next morning, Fr. 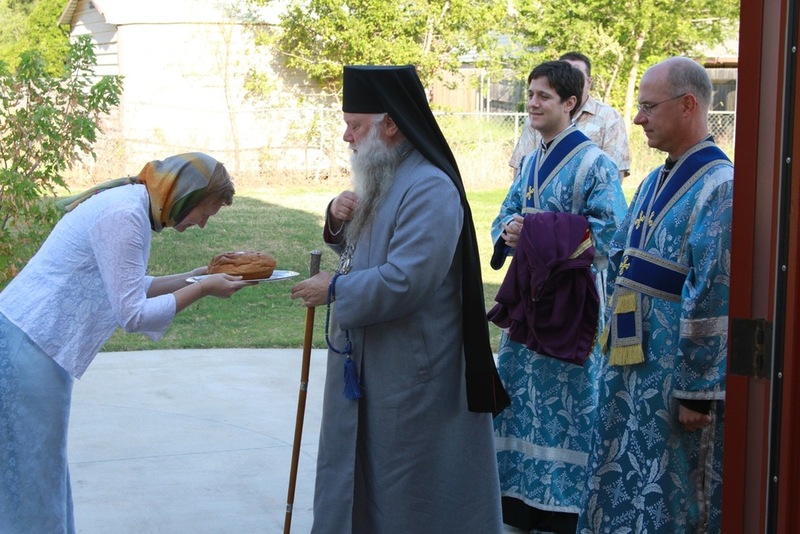 Anthony Nelson and the parishioners greeted Vladika with bread and salt at the start of the Hierarchical Divine Liturgy. During this service, Reader Aiden Haynes was elevated to the rank of sub-deacon. 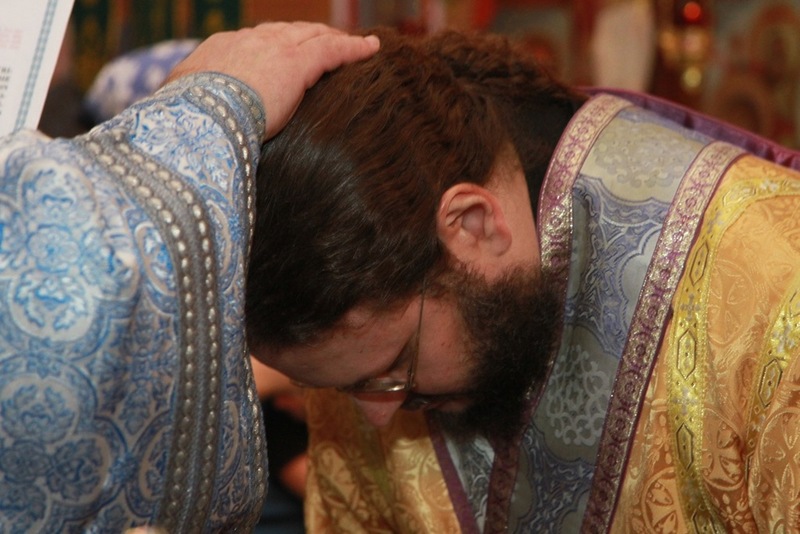 The second ordination came later in the liturgy when Sub-deacon Aaron Taylor was elevated to the rank of deacon. Both will continue to serve in St. Benedict's church. AXIOS! 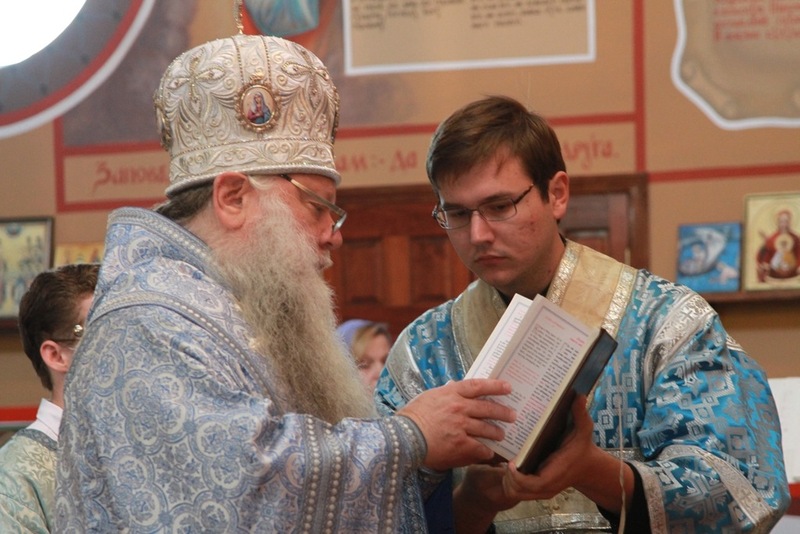 At the conclusion of the Divine Liturgy, Bishop Peter greeted the parishioners and exhorted them to look to the church as the instrument of their salvation. Citing that while the fasts may at first seem difficult, the body quickly adapts and it is only the mind which tricks us into believing that this is difficult. The Lord Himself stated: "My yoke is light and my burden is easy." 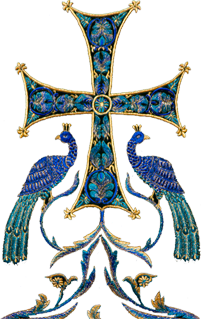 Only with the help of prayer and the guidance of the church which presents us with the tried and tested paths to salvation through the examples of her saints, may we attain salvation. 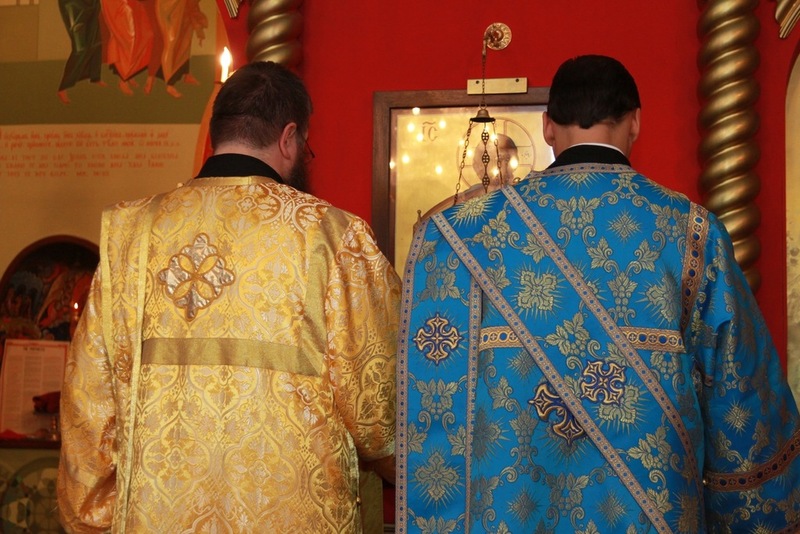 Vladika further pointed out that this implies participation in the spiritual life of the church - the fasts and partaking of the Holy Mysteries in the Divine Liturgy which is the highest form of grace and thanksgiving that we have on earth. 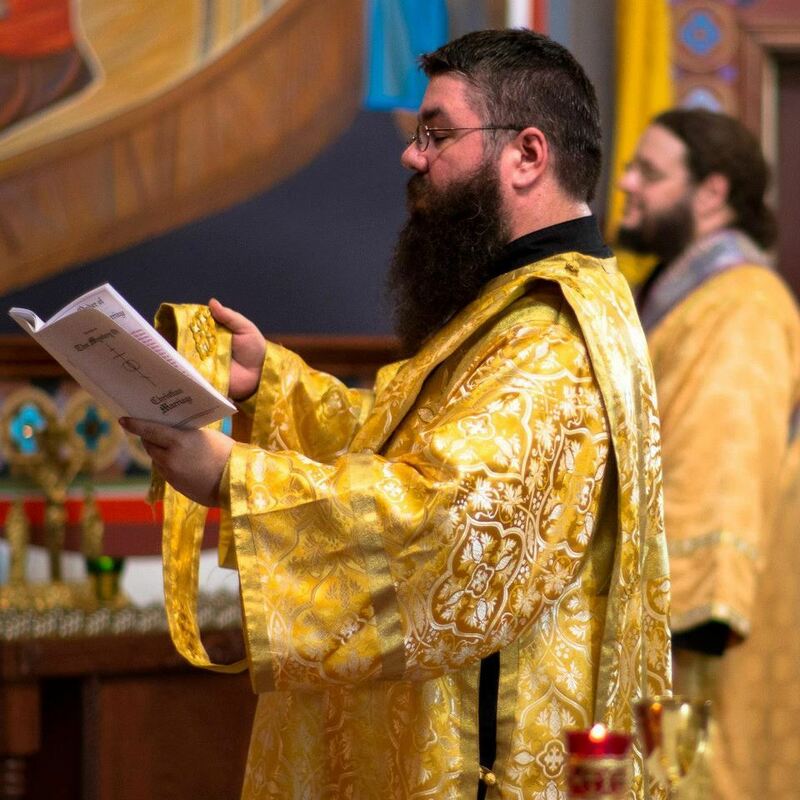 Later in the day, Vladika attended the wedding of Arsenios Corbishley who had lived in Chicago and served in the altar at the cathedral for the past few years while he was attending school. He married Andrea Taylor, whose brother was made deacon earlier that morning.